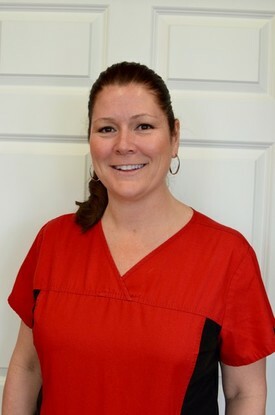 Tammy joined Heartland Animal Hospital as the Practice Manager in January 2016 with 19 years of experience in business and management in the home healthcare industry. She graduated from Elmhurst College with a degree in Business Administration. She lives in Marion with her sons and her 9-year-old Labradoodle Zoey. Tammy enjoys spending time outdoors with her sons and dog, planting flowers, walking, riding bikes and swimming. She also enjoys cooking many different cuisines, reading magazines and traveling. 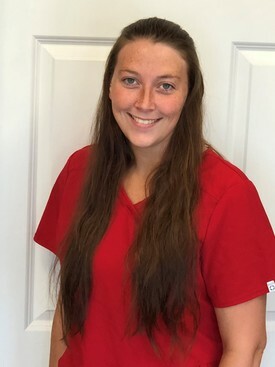 Cassandra joined Heartland Animal Hospital as a Veterinary Technician in 2016 with 4 years of prior veterinary clinical experience. She lives in a small, rural town with a 3 year old cat named Kee Kat, a 3 year old Cathoula Leopard mix rescue dog named Amos and a 2 year old Ball python. Cassie is an avid outdoors woman and puts many miles on the river with her kayak and dog. She often spends her spare time going to the gym or relaxing at home while crocheting. With a new found love for travel, she is devoted to visiting as many out of state destinations as possible. 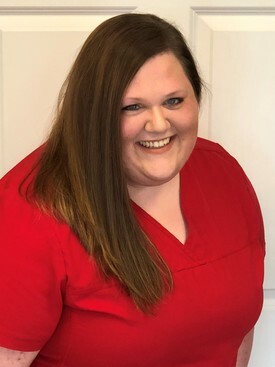 Nicole joined Heartland Animal Hospital as a Veterinary Technician in 2016 with prior veterinary clinical experience. She has a Bachelor’s of Arts degree in Geology from Cornell College. She stays busy caring for her Paint Horse named Willow and a Bluetick Coonhound named Rhett. Nicole enjoys spending time outdoors riding horses, going running and hiking with Rhett and spending evenings camping with friends and family. 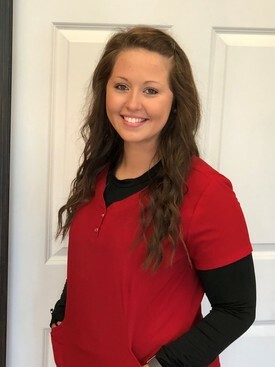 Emmie joined Heartland Animal Hospital in April of 2017 after graduating from Kirkwood Community College as a Veterinary Assistant. When she isn't at work Emmie enjoys barrel racing and spending time with friends & family. She currently has 3 horses, 2 miniature donkeys and 2 dogs- Jersey & Roo. She also likes to travel and do DIY projects. 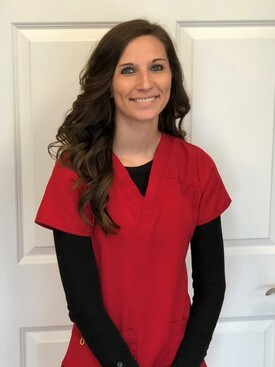 Sadie joined Heartland Animal Hospital in May 2017 as a Veterinary Technician with 3 years of emergency clinical experience. She lives in Mechanicsville with her husband and son and her 2 pit-bull mixes, Rylie and Freddie. She enjoys spending time outside and kayaking. Felicia joined Heartland Animal Hospital as a Veterinary Technician in May 2017 with 10 years prior veterinary clinical experience. She finished her Bachelor’s of Science degree in Animal Science from Iowa State University. She grew up on a cow/calf and row crop farm near Anamosa. 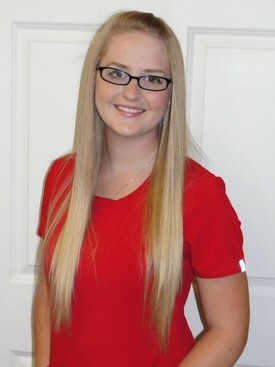 She has a rescue cat named Dakota, she enjoys reading, kayaking and spending time with friends and family. 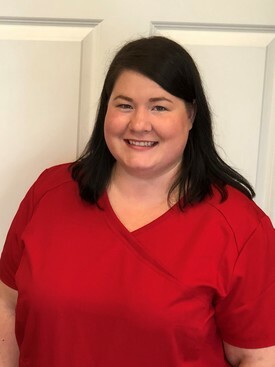 Kate came to Heartland Animal Hospital in May of 2018 with over 6 years of industry experience. She lives in Cedar Rapids with her boyfriend, Matt and their French Bulldog / Boston Terrier named Brix and their foster failure German Shepherd, Josey. In her free time, Kate enjoys refurbishing furniture, aromatherapy and working with essential oils, being outdoors and training her dogs. She is an active member of German Shepherd Dog Rescue of Iowa and usually has a foster dog or cat that is being rehabilitated in her home.